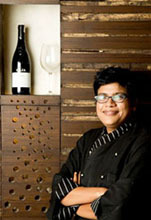 Wine drinking may not have been popular in India ten years ago but with more and more choice of wines available in the restaurants, the choice of ordering wines in restaurant is bigger and it should be fun to experiment with different wines, writes Ritu Dalmia with an advice to drink what you like. India, unlike like European countries, is not a wine drinking country, but wine drinking is getting more and more popular, especially with the younger generation. The reasons are many, from health to curiosity. But whatever the reason, I am mighty pleased to note this shift. Wine is still a subject which intimidates us, but if you follow the simple policy that I follow, you will be fine – ‘Drink what you like’. 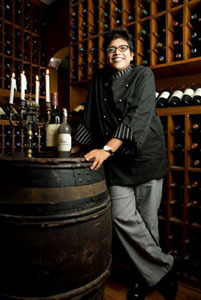 When we started Diva Restaurant in Greater Kailash-II, Delhi 10 years ago, I was mighty pleased that I had 25 wines listed in my list, I think the very first stand alone in Delhi to even have a wine list. This list kept on growing and finally in 2008 we listed over 400 wines. During the last ten years I have had a ball, playing around and experimenting with my list, but as I grow older with my restaurant a sense of somberness has come in, and it is no longer about how many labels I have, it is more about what goes with my food. Today Diva still has a list of over 275 labels, but it has become more Italian-centric. Another shift that took place was the list was no longer about prestigious and over priced labels, but very big focus was on value added wines. Today we have a lot more choice of wine available in India, and drinking wine is no longer a hidden pleasure, sourced either through the bootlegger or at some diplomat’s party. Most restaurants worth their salt have a decent wine list, so you really have a lot to experiment with. The important thing is ordering wine should be fun, not a tedious chore. So just loosen up, try a new wine every time, forget about stuffy ritual and just enjoy.